PRIVATE BOXING CLASS PROGRAM FOR SENIOR CITIZENS. THIS CLASS CONCENTRATES ON HELPING THOSE WITH A DIAGNOSIS OF PARKINSON’S, CANCER, DEPRESSION, ARTHRITIS, AND MANY MORE. DON’T LOSE THE OPPORTUNITY. YOU WILL GAIN 10 YEARS BACK IF YOU WORK OUT WITH COACH MERCEDES. EMAIL: AMCENERGYFITNESS@GMAIL.COM OR CALL 414-377-1506 NOW. AMC Boxing Academy is a non-profit organization designed to empower children through the disciplines of boxing. The organization uses a holistic approach focusing on academics, physical fitness, and the social needs necessary to become a successful citizen. AMC Boxing Academy is committed to serving the community by instilling compassion, commitment, integrity, diversity, and dedication within each boxer. 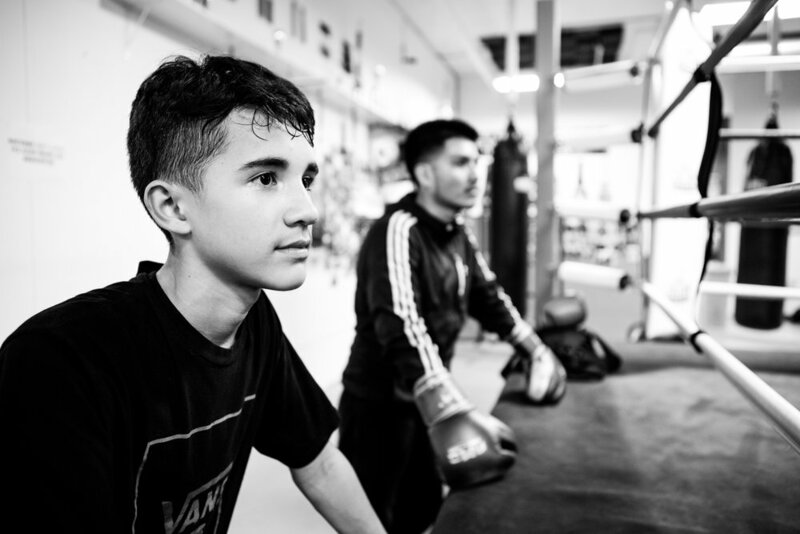 The goal of the Academy is to award all children an opportunity to reap the benefits of boxing and the disciplines that are embedded throughout the program. By donating you are helping young kids in need afford boxing equipment, classes, travel expenses – and most importantly, Coach Mercedes’ boxing class. At AMC Boxing Academy, we believe that all community members deserve to participate in the sport of boxing no matter what their financial status may be. It takes motivation, proper planning, consistency, and support. We’ll work to find the best plan for all boxers that are on a level to compete locally and nationally, but are not able due to financial circumstances. Our goal is to support each fighter so that negative community influences do not distract boxers from competing locally and internationally as amateur fighters. AMC Boxing Academy specializes in teaching its boxers sport-specific conditioning programs that meet the needs of each individual boxer. These programs are designed to help educate boxers about proper workout routines and benefits of daily exercise. We help community members of all ages achieve weight loss goals, self-discipline, and responsibility through boxing. Our experience, education, and commitment to urban youth and adults has set us apart from other boxing gyms. We’re committed to changing the lives of boxers so they can be positive role models throughout the community. We will educate and support our boxers through promoting proper nutrition, education, the disciplines learned in boxing – and being a positive role model in the community. FOLLOW COACH MERCEDES INSTRUCTIONS HE WILL MAKE YOU THE BEST BOXER IN THE WORLD. A Level 5 Master Fitness Trainer and recipient of the Midwest’s Top Trainer Award, former professional boxer Alberto Mercedes is the owner of AMC Boxing Gym. 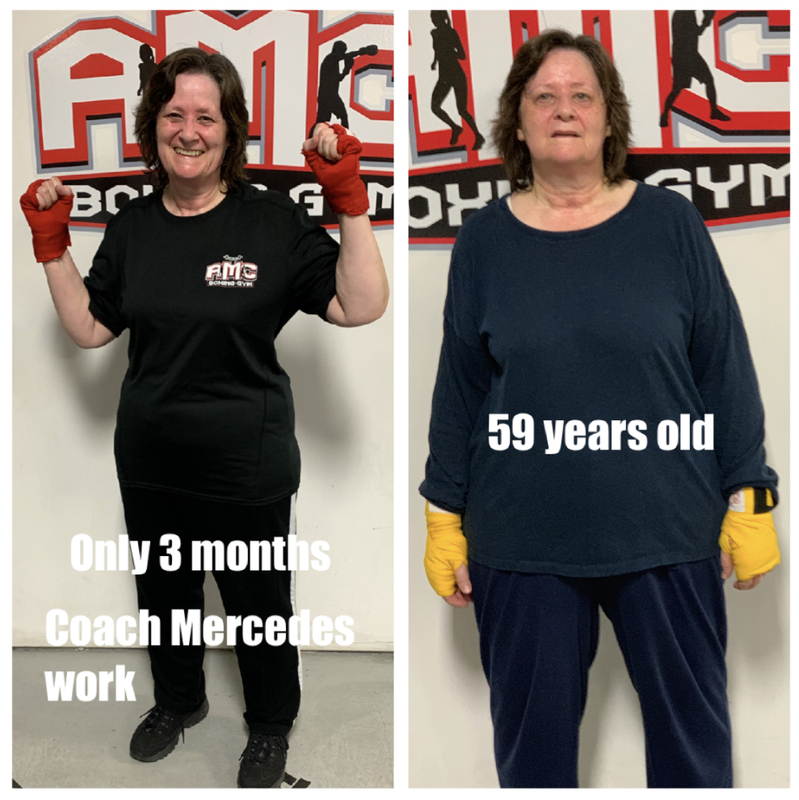 Coach Mercedes is dedicated to helping AMC Boxing Gym clients and AMC Boxing Academy members get their bodies and minds in peak condition. He’s prepared to work with you to find the champion within through self-discipline and personalized physical training. “My experience as a professional boxer has helped in training my clients to become physically fit,” he said. "My certification as a nutritionist also helps answer clients questions on what to eat, how to use food to maintain weight and stay fit after finishing their customized fitness programs." Coach Mercedes has received 23 fitness awards throughout his career, including the Midwest's Top Trainer of the Year Award in 2008 for his outstanding results at Bally Total Fitness. A firm believer in building a stronger community through fitness, he donates his time to the AMC Boxing Academy to create champions inside and outside the ring. The academy is a non-profit organization designed to help kids in the community develop physical conditioning, self-discipline and learn the sport of boxing. AMC Boxing Academy has received the Milwaukee Small Business Excellence Award in 2016, 2017 and 2018. You will get in shape with Coach Mercedes. Selecting a personal trainer can be a stressful task, especially if you're unfamiliar with fitness and fitness equipment. And, although I'm familiar with both, I still find the services of a personal trainer very beneficial. There are two traits I look for when selecting a personal trainer. - Is he/she knowledgeable?- Is he/she a great motivator? Alberto embodies these traits and many others that have assisted me in achieving my fitness goals. I have used his services at multiple times throughout the years. Alberto is a great motivator. There were many times when I got to my session and just wasn't very motivated. Alberto was great at recognizing this. One of his great motivators for me was to substitute in some boxing for cardio. Alberto's knowledge of fitness and the human body kept my sessions safe and challenging. His vast knowledge of different ways to fatigue a muscle group meant that if one exercise didn't work, he had another one at the ready to keep the session moving along. To this day, I still refer back to some of the fitness tips I learned from my sessions with Alberto! I first met Alberto when I thought u was in shape and a decent athlete. Well..... he got me there, but it took his coaching, training and inspiration to get there. 20lbs lighter and two half Ironman later, he has me looking, acting feeling and training like a professional athlete. Weather your a great athlete and want to raise your game, or a couch potato who wants to get into the BEST shape of your life, and be the BEST you can be, there is only one choice: Alberto. Hello, my name is John Sebastian and I’m writing a testimonial about the best personal trainer in the Midwest, Master Trainer Alberto Mercedes. I was a client of Alberto's for over 7 years and my body was transformed from an overweight 205 pounds to a solid, muscular 163 pounds. And this happened when I was in my mid to late 50's. Not only did my body change, but I no longer needed to take my medications for high blood pressure, and high cholesterol. It has been a real blessing to have Alberto as a personal trainer and I would highly recommend him no matter what your physical condition might be. AMC Boxing Gym and AMC Boxing Academy has been recognized in prestigious publications such as The New York Times and Milwaukee Magazine. We're also honored to have received the 2016, 2017 and 2018 Milwaukee Small Business Excellence Award, 2017 LBC Outstanding Club Award and 2018 Expertise Best Gym in Milwaukee. Featured in Milwaukee Magazine's "Your Best Body Ever" issue. Proud to be a multiple-time recipient of the Milwaukee Small Business Excellence Award. AMC Boxing Academy national champ Mireya Marquez. Whether you're interested in training yourself or training others, or simply want to know more about our gym and academy – we'd love to hear from you.